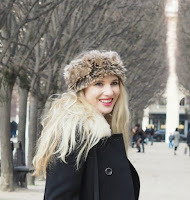 Have you heard of Masha? Probably not, but with its versatility and unique patterned rotor cone technology it allows you to do wonders in the kitchen - looking similar to the hand blender but its designed to create the smoothest, perfect consistency, mash around (with very little effort) and for lots of other food prep tasks – quick guacamole, hummus, or pastry, cake and batter mixes. Now mash for me is a grueling task to make it the perfect texture and i usually cheat by buying it from Tesco's - but this come at a price! 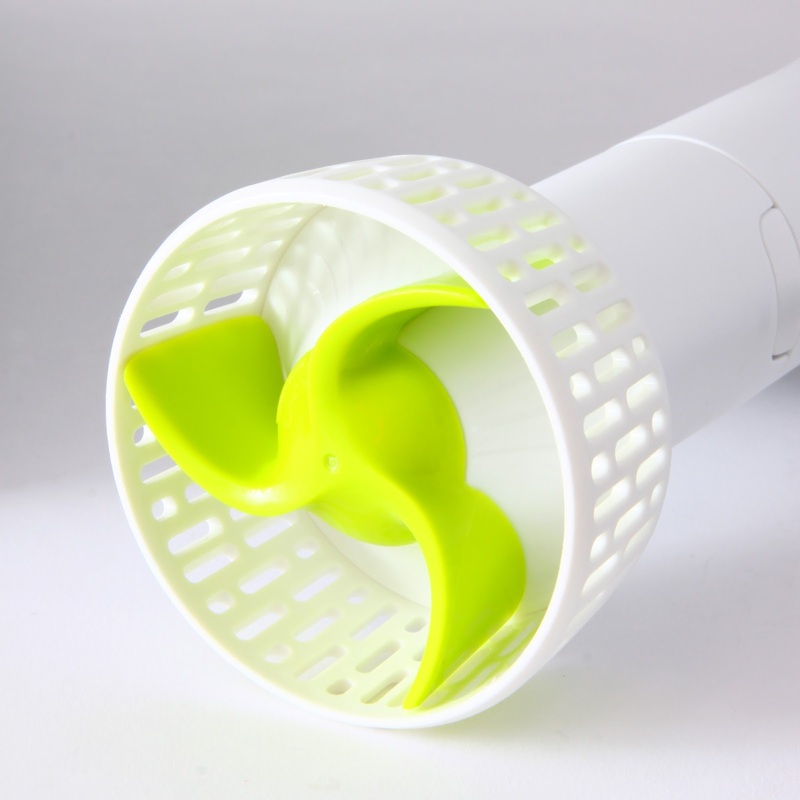 With Masha this task becomes effortless in just a few seconds all because of the rotor-cone technology, which guarantees deliciously smooth mashed potatoes every time. ...and its not just potatoes it can mash! It makes light work of mashing fibrous vegetables – such as carrot and swede, parsnip, sweet potato, butternut squash. Creating a tasty homemade guacamole, hummus, chunky soup, or lovely gnocchi. Or use Masha to combine ingredients for a quick batch of pastry, crumble mixes, the perfect cake mix, or simply whipping cream to a perfect consistency for your cake. Masha also makes great batter mixes, perfect for those delicious Yorkshire puds, or pancakes. In fact the list is endless... including health and nutritious meals for your little ones making it less work for mum. So what is this special new technology? Inside the head of Masha sits the revolutionary Rotor Cone Technology with metal drive gears and a powerful reduction gearbox – this provides the ‘muscle’ that drives the Rotor at low speed to force the mash through an outer mesh, obliterating any lumps – very much like a manual potato ricer would – except it’s much easier! And Masha’s design also makes it ideal for mashing in a pan – even non-stick – or in a bowl, whichever you prefer. 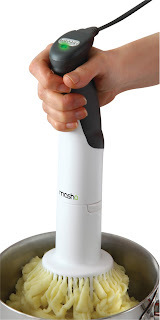 Masha has been ergonomically designed for the job too and sits comfortably in your hand, its non-slip hand grip, balanced weight distribution and a perfectly positioned ‘on’ button making it simple to operate and effortless to use. Using a conventional blender or food processor to mash potatoes with its metal blades causes the starch grains to rupture and damage, which is why the result will be very ‘gluey’. The great advantage of Masha is that because it is specifically designed for the job, it extrudes the potato out of the side of the head; the starch grains are not damaged by this process, and the result is a lovely creamy smooth mash. 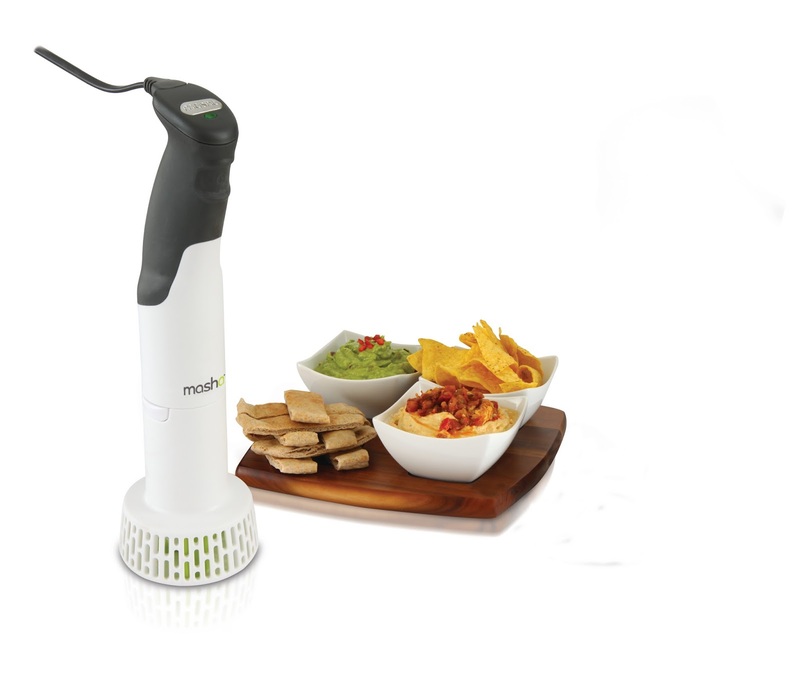 The Masha is a great addition to any kitchen, and at only £34.99 is the perfect electrical kitchen utensil to have around, saving you precious time by preparing the smoothest mash and other delicious foods in seconds – and at a fraction of the cost of shop bought ready prepared varieties. Once you’ve used Masha, you won’t want to be without it! For more information, please visit: http://www.mplhome.com/brand/sensio-home/ you can also buy Masha from Argos.